Can It Really Boost Your Health? Beyond the pick-me-up that the coffee provides, It's a beverage that some proponents say offers a range of health benefits and is sometimes used by people who would like to reduce their coffee intake but still boost their energy level. Despite the marketing claims for the benefits of ganoderma coffee, however, there is no scientific support for the product's health effects. Why Do People Use Ganoderma Coffee? Proponents claim that ganoderma coffee can boost immunity, help with weight loss, fight fatigue, improve memory, increase energy stamina, lower cholesterol, reduce inflammation, relieve stress, reverse the aging process, and stimulate circulation. Ganoderma is also touted as a top source of antioxidants. The Benefits of Ganoderma Coffee: Can It Help? To date, no scientific studies have tested the health effects of ganoderma coffee. However, preliminary research indicates that ganoderma on its own may offer certain health benefits. For instance, a 2016 review of five previously published studies concluded that Ganoderma lucidum "could be administered as an alternative adjunct to conventional treatment in consideration of its potential of enhancing tumour response and stimulating host immunity." Published in The Cochrane Database of Systematic Reviews, the report didn't find sufficient evidence to justify the use of Ganoderma lucidum as a first-time cancer treatment. In addition, research shows that drinking coffee, in general, may have some beneficial effects. For example, a 2006 report from Critical Reviews in Food Science and Nutrition notes that coffee consumption may help prevent several chronic diseases (including diabetes and Parkinson's disease). However, the research review also found that coffee consumption is linked to increases in high blood pressure (a major risk factor for heart disease). While ganoderma is sometimes said to help with high blood pressure and heart disease, a report published in The Cochrane Database of Systematic Reviews in 2015 didn't find evidence supporting the use of Ganoderma lucidum for the treatment of cardiovascular risk factors in people with type 2 diabetes. Little is known about the safety of ganoderma coffee. However, ganoderma may cause a number of side-effects, including nausea, dry throat, and dry nose. You should talk to your doctor before trying ganoderma coffee particularly if you take blood pressure, anticoagulant, antiplatelet, or cancer medications. Additionally, consuming too much caffeine can speed up your heart rate, disrupt your sleep, upset your stomach and aggravate certain mental health problems (such as anxiety). There have been several case reports of people who have developed hepatitis after the use of ganoderma lucidum products. One was an extract of Agaricus blazei and ganoderma lucidum. The other was ganoderma lucidum (lingzhi) powder, which was associated with a case of fatal fulminant hepatitis. Another report suggests that Ganoderma lucidum should be used with caution due to the potential for toxicity. Also, keep in mind herbal and dietary supplements are not regulated by the United States Food and Drug Administration the way prescription drugs are. In some cases, products sold to consumers have been found to contain ingredients not listed on the label, resulting in harmful effects. Although you may enjoy the slightly bitter taste of ganoderma coffee, don't fill up just yet. There's a lot of research that still has to be done on ganoderma and it's health effects in large-scale clinical trials (the kind of evidence we want to see to put full stock in a treatment). If you're still considering making ganoderma coffee a regular part of your diet, be sure to talk to your doctor first to discuss whether it's right for you. Hisamochi A, Kage M, Arinaga T, et al. Drug-induced liver injury associated with Agaricus blazei Murill which is very similar to autoimmune hepatitis. Clin J Gastroenterol. 2013 Apr;6(2):139-44. doi: 10.1007/s12328-013-0359-0. Epub 2013 Feb 5. Klupp N, Chang D, Hawke F, et al. 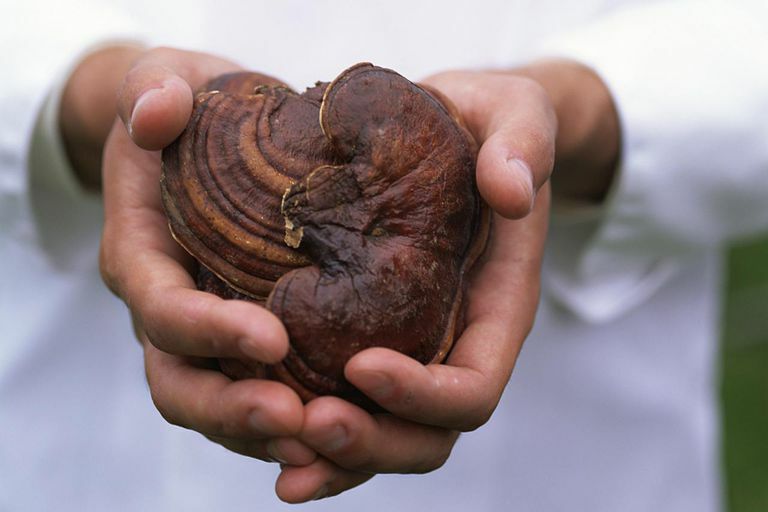 Ganoderma lucidum mushroom for the treatment of cardiovascular risk factors. Cochrane Database Syst Rev. 2015 Feb 17;(2):CD007259.